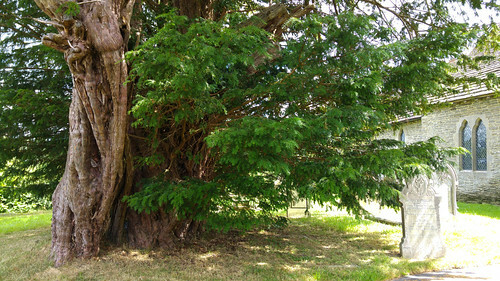 This male yew in the circular churchyard at Discoed is estimated to be 5000 years old. It has a girth of 37 feet. 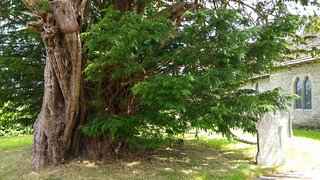 There is also a smaller female tree in the south west corner of the churchyard.